Patience Nombeko Mbava was born and bred in Guguletu. Although she started her high school career at ID Mkhize High School, she matriculated from Isilimela Comprehensive School In Langa, Cape Town. “ In 1991, I was the TOP MATRIC STUDENT in the Western Cape. I had excellent matric results. I was featured in local newspapers and interviewed on SABC Radio. ASF then facilitates for me to be awarded a prestigious scholarship from Smith College in Massachusetts, USA. I traveled, studied and lived in the US for five years. I graduated from Smith College in 1996 with a BA degree in Economics. ASF motivated me at a young age to aim for better results and have a quest for excellence. I was inspired to believe that life offers us great possibilities and the key to our own success lies within us. Your environment and where you grew up does not determine your future and how great an individual you can be. Sitembele James Sitembele was funded by ASF during his high school days (2005-2006): I write to you to thank you so much for the great work that you are doing. I can now look back and say “I am because you are”. I matriculated at Nyameko High School in Mdantsane (Eastern Cape). I enrolled for B.Com Accounting for Chartered Accountants at NMMU in 2007. I completed the junior degree in record time and then enrolled for B.Com Honours (Accounting) in 2010 and didn’t pass but I passed it last year (2011). Thuthuka Bursary Fund and the Allan Gray Orbis Foundation paid for my studies at tertiary level. 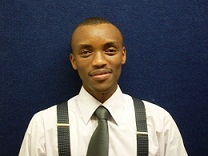 I am now a Junior Lecturer at NMMU School of Accounting, assisting lecturing Taxation, Auditing and Management Accounting. I am on my way to SAICA’s prestigious CA (SA) designation. I have passed my Part 1 SAICA board exam which I wrote on the 25/26 January 2012. I am one exam away from being a Chartered Accountant. In 2013 & 2014 I will be completing articles with Deloitte. 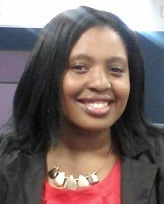 I am Simphiwe Plessie, I resided in Khayelitsha, Site-B – Cape Town. The ASF have provided me with an amazing gift, the gift of not giving up on myself and my education even if the odds were totally against me at that time. I was sponsored by the ASF from standard 6, from 1995 till matric in 1999 when I was a learner at Matthew Goniwe High school. They encouraged me to complete my matric and I got an Eskom Engineering Bursary to study Electrical Engineering at the University of Cape Town. I completed my BSc Elec Eng with a second class Thesis pass in Electrical machines in 2005. I worked for Eskom as High Voltage Planning Engineer and got promoted in a year and half to become a Senior Advisor in Electricity Pricing. I spent four years in Pricing growing very fast and I was spotted by Siemens Energy Services and they offered me what I call “my dream job” as a Generator Specialist Engineer. Currently I have completed half of my Engineering Masters degree at Wits University. I spend most of my time in Germany training and learning more about my dream job. I want to tell you that without the support of the ASF I would definitely not be where I am at the moment. It is eighteen years down the line, but I am finally in a position to help someone who finds themselves in similar circumstances I did so many years ago. I am finally able to reach out and support someone else on their road to success. My name is Denise Mkapuza. I was a Bursary holder at African Scholars Fund from 2000 until 2004. I just wanted to Thank you for all the years that you have supported me at Fezeka Secondary School. I really appreciated your love and support and your words of encouragement. I really struggled at UCT but I never gave up on my dreams. I finally graduated at UCT on the 15th of December 2011, with a Bachelor of Commerce (Financial Accounting) degree . I am currently pursuing my Postgraduate Diploma in Management Information Systems specialising in Business Analysis and System Analysis (BASA) through a programme called CAPACITI 1000. 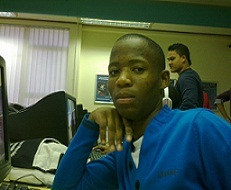 I am also working at the head office of ShopriteCheckers (Pty) Ltd, as a Trainee Business Analyst. I have recently been offered employment to work for Shoprite as a Junior Business Analyst next year. Thank you so much for believing in me. You have always been my inspiration for all the years I ‘ve been studying. Thank you for being there for me all the years in high school. If it was not for you, I would not have reached my dreams. African Scholars fund is the best!!. Mary-Lisa Vaaltyn Mary-Lisa wrote to us and had the following to say: “It feels wonderful to be able to write to you again. My name is Mary-Lisa, one of the old learners from Willowmore Secondary School. I would like to thank all of you who contributed towards my education. If it were not for your interest and you believing in me, I would not have been where I am today. Today I am a second year Physiotherapy Student at the University of the Western Cape. Thank you for the way you motivated me at all times and for being my mentor. Regards to all and thank you to my Sponsors”. 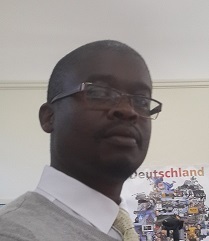 Thembinkosi Kenneth Ngoma matriculated in 1995 from Luhlaza High School. Between 1992 and 1995, he was a recipient of the African Scholar’s Fund Bursary. 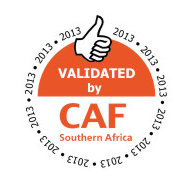 “Honestly, if it was not for ASF I do not think I would have made it to Matric and beyond. Every time I think of how ASF came to my rescue, I cannot help it but cry. That is why today I am able to provide a helping hand to all those in need.” To acknowledge ASF support, Thembinkosi is committing to support one child in 2014 and will from 2015 support two children. 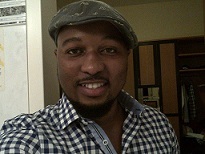 Thembinkosi Kenneth Ngoma completed his BA Degree in Language and Communications at the University of the Western Cape (UWC) in 2007, majoring in Political Science and Communication and Media Studies. He went further and partially studied BA Honors in Linguistics from the same institution. While at varsity, he did an internship as a news reporter at Midi-TV (Etv) and also worked at the UWC’s Arts Faculty Office as a Tutor to first year students and as a Student Assistant / Secretary at the Faculty’s Recruitment Office. He also worked for Cow Africa, an international renowned public relations company that was involved in the Parliamentary Emblem Project. 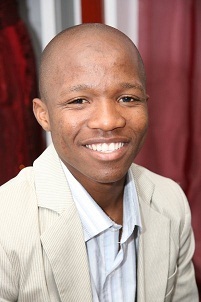 Thembinkosi is the co-founder of UWC’s BushTV (an on campus television station). In 2008, he was employed at the Parliament of the Republic of South Africa as a Committee Secretary and he worked with the Portfolio Committee on Science and Technology. In addition, he also served as Committee Secretary to the Ad Hoc Committee that facilitated the appointment of Advocate Thulisile Madonsela, the current Public Protector. He is currently serving on the Parliament of the Republic of South Africa as a Committee Secretary to the Portfolio Committee on Communications. Thembi entered the “world of work” when between 1999 and 2004, he worked for the South African Reserve Bank as a National Key Point Security Official and was responsible for: monitoring CCTV cameras, guarding and patrolling, manning the main security control room and maintaining access and egress control. Prior to that, he worked as a Control Room Operator / Uniform Clerk / and Secretary to Manager at Gray Security Services, now Group4Security. remind you what it was like before you came into the picture. You wouldn’t believe it but with your tremendous assistance you turned things around and made sure that nothing stands in my way. You guys took a chance with me and believed in me and I will always be grateful for that. It is my pleasure to inform you that now I am at the NELSON MANDELA METROPOLITAN UNIVERSITY doing my first year in Biomedical Technology. I’m excited and happy with what I am doing and hope that you guys will find it interesting too. THANK YOU once again…” We are so very proud of Zukile and wish him every success. 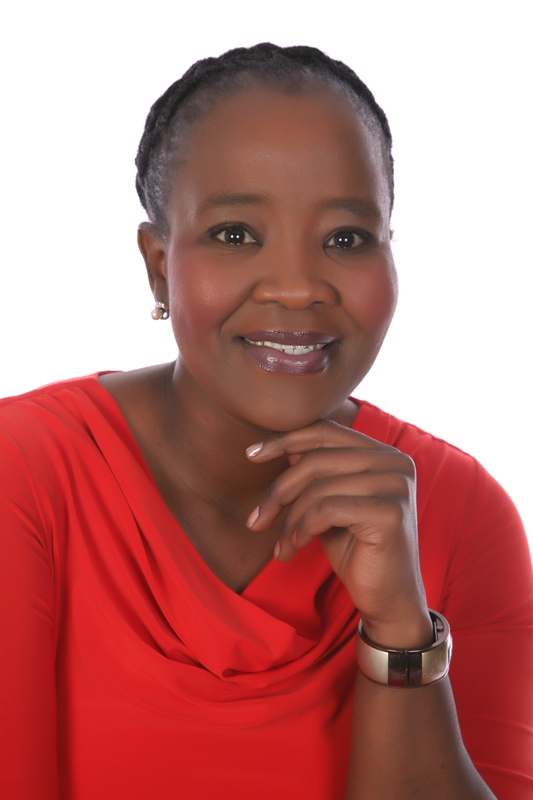 Dr. Phindiswa Mnana currently works in the Eastern Cape at Nompumelelo Hospital. 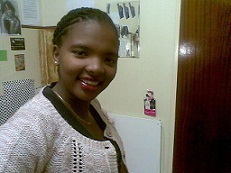 She attended high school at Sandisiwe school which is situated at Mdantsane in East London. Dr. Phindiswa Mnana currently works in the Eastern Cape at Nompumelelo Hospital. She attended high school at Sandisiwe school which is situated at Mdantsane in East London. She was raised by a single mother who had to feed and clothe 5 people out of her salary of under R1500pm. 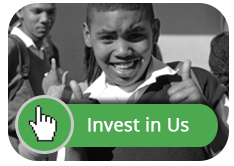 She says – “because of your bursary I managed to pay for my school fees and uniform from grade 10 to grade 12. After that I went to do my medical degree at UKZN in 2001 to 2006. Now I can proudly say that I am Dr Mnana because you also opened the pathway to my success”. Dr Mnana and some of her former schoolmates are in the process of establishing a trust fund because “we know how it feels to struggle and know how much difference it makes to have financial support towards your studies”. We thank Dr Mnana for carrying the goodwill forward. Nondyebo comes from Uitenhage where she and three of her siblings are supported by her father’s old age pension of R940/mth. She passed her senior certificate in 2005 and went straight to a FET College to study for two years. 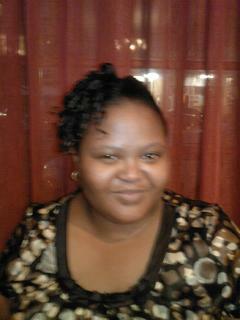 At the end of 2007 she successfully completed her Business Management course and obtained three distinctions! She is now employed by the college as an Administrative Assistant. Congratulations Nondyebo – we are so very proud of you! Kgotlaetsile comes from Batlhoros in the Northern Cape. Both his parents are deceased and the only income comes from his older sister who gets a child support grant for her two children. After completing his senior certificate in 2004, Kgotlaetsile went on to work as a labourer for two years, trying to help her sister. African Scholars’ Fund assisted him in January 2007 where he attended Kathu campus and successfully completed his N4 with very good marks. His positive outlook and will to succeed soon got him employed and he is now training as a Diesel Mechanic at Barloworld Equipment. Well done Kgotlaetsile! Fatima lived in the Milnerton area and the only income for her family came from her mother’s disability grant. We helped her to complete her schooling and she gained an excellent Matric pass. Then we arranged bursaries for her, through TECSAT, so that she could study Financial Management at the FET college in Muizenberg. She was so poor that she needed bus money not only for college, but even for the first interviews – and some shoes! Two years later she was one of the top students at the college. It is no wonder that she was snapped up by one of the major chain stores to work in their Head Office. Joseph was a lively lad in Langa during the apartheid 70s, in the days when police raids ruled the night with their cars and bright lights and Casspirs as they hunted down dissidents. Joseph and his friends slept in different houses every night trying to avoid being arrested, but one night they were caught, taken to the police station and badly beaten. Dr Elsworth heard about this – she got them out of their cells and into hospital. They then fled the country. 30 Years later here comes Joseph – a married man with children, graying at the temples, a little portly but still sparky. He has a good business now. He and his partners are generous donors to African Scholars’ Fund. Sithembile lived in a poor home supported only by his widowed mother. He attended High School up to Grade 10 and then went to Technical College to study Electrical Engineering. From there he was selected by SA Airways for advanced training. His position with the ground staff is equivalent to Lieutenant and he makes sure that “the electrics” on the aircraft are all in perfect working order. He wants to develop work with school-leavers. Pazuna, originally from the Herschel district, was referred to us from Groote Schuur Hospital where he was treated for congenital heart disease. He had surgery and a long convalescence. African Scholars’ Fund helped him through High School and then Technical College where he completed N3 with 4 distinctions. He went on to the Cape Technikon and since then has gone from strength to strength. He now occupies a prominent position at the Cape Peninsula University of Technology – and is a family man! He is a trustee of TECSAT, the FET bursary fund for the Western Cape which grew out of African Scholars’ Fund. She is now one of our regular donors.